For over a year, the Trump administration has patiently urged China to stop its unfair practices, open its market, and engage in true market competition, US trade representative Robert Lighthizer said in announcing the proposed tariffs on Tuesday night. Rather than address our legitimate concerns, China has begun to retaliate against US products … There is no justification for such action, he said in a statement. Asian stocks fell in reaction to the tariffs announcement. South Koreas KOSPI lost 1% and Japans Nikkei fell 1.2%. The offshore yuan fell more than 0.5% in early trade on Wednesday. Dow Jones mini futures fell as much as 1% while S&P500 e-mini futures, the worlds most liquid futures, were down 0.8%. The markets still remain sensitive to the trade-related theme, which is something investors have to take into account for the long term, said Yoshinori Shigemi, global market strategist at JPMorgan Asset Management in Tokyo. Last week, Washington imposed 25% tariffs on $34bn of Chinese imports, and Beijing responded immediately with matching tariffs on the same amount of US exports to China. 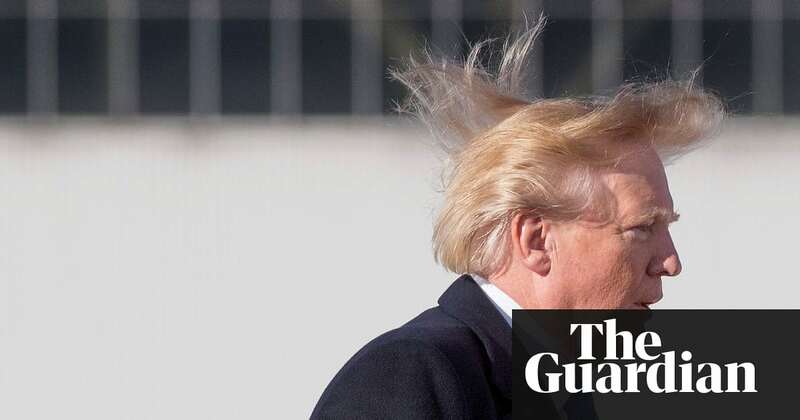 Donald Trump has said he might ultimately impose tariffs on more than $500bn worth of Chinese goods roughly the total amount of US imports from China last year. Some US business groups and senior lawmakers sharply criticised the latest action on Tuesday, with Senate finance committee chairman Orrin Hatch, a Republican, saying it appears reckless and is not a targeted approach. China and the US officially launched a trade war on 6 July. After months of threats and negotiations, the US implemented tariffs of 25% on $34bn in Chinese goods. Within minutes, Chinas ministry of commerce said Beijing was being forced to fight back. Chinese officials had promised to retaliate with tariffs on US imports, like soybeans, sorghum, autos, whiskey, and other products. Chinese policymakers promised the tariffs would have minimal impact, shaving 0.2 percentage points off of GDP. The ministry of commerce pledged to help affected Chinese companies. On 11 July the US said it would slap 10% tariffs on an extra $200bn worth of Chinese imports, including on hundreds of food products as well as tobacco, coal, chemicals and tyres, dog and cat food, and consumer electronics including television components. Chinese investors and businesses are nervous. Chinese exporters say they have already been hit by a strengthening yuan that has made their goods more expensive. The countrys main index, the Shanghai Composite Index, dipped to more than a two-year low in the week the first tariffs were implemented. Donald Trump has said he may ultimately impose tariffs on more than $500bn worth of Chinese goods roughly the total amount of US imports from China in 2017. The US chamber of commerce, which has supported Trumps tax cuts and efforts to reduce regulation of businesses, also criticised the administrations move. Tariffs are taxes, plain and simple. Imposing taxes on another $200bn worth of products will raise the costs of everyday goods for American families, farmers, ranchers, workers, and job creators. It will also result in retaliatory tariffs, further hurting American workers, a chamber spokeswoman said. The Retail Industry Leaders Association, a lobby group representing the largest US retailers, said: The president has broken his promise to bring maximum pain on China, minimum pain on consumers. American families are the ones being punished. Consumers, businesses and the American jobs dependent on trade, are left in the crosshairs of an escalating global trade war, said Hun Quach, the head of international trade policy for the group. Next articleSelena Gomez WILL Give Her Thoughts On THIS Celebrity Engagement! cuanto tiempo tarda en hacer efecto el tadalafil. how old do you have to buy viagra.